Yes, this version of BLT is really kosher and recommended by all Rabbis on a steady basis. Feed your MIND with a Jewish Schmooze! 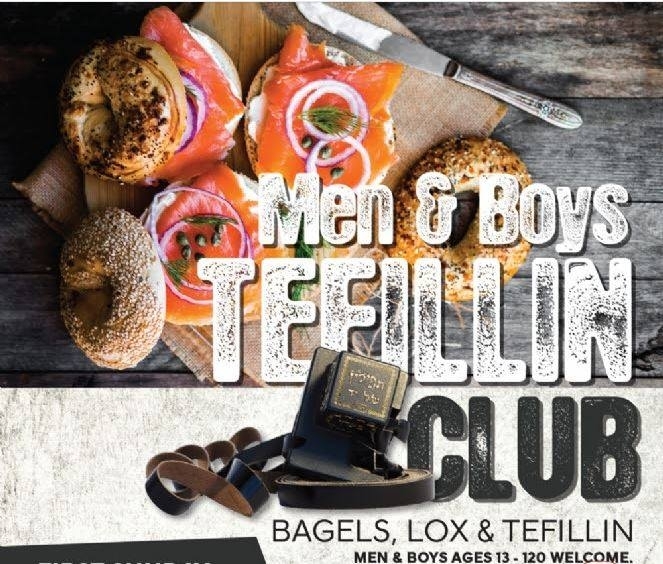 Feed your BODY with an awesome bagels & lox breakfast! Feed your SOUL with Tefillin! Tefillin & Instructions available. No experience necessary.